Kristina Mladenovic and Heather Watson played out the second longest match of the year so far in Acapulco with Mladenovic sneaking through in a three set thriller that lasted three hours and 32 minutes. There were quite a few double faults including on the last point… it was nice to see such a warm embrace at the end and both players seeming to acknowledge how long the match was! Watson hit her 18th double fault on match point. Fully 13% of the points in that match were double faults. Respect to Ajla Tomljanovic who won her first match back in over 13 months, beating the number six seed, Eugenie Bouchard, 7-6(4) 6-1 on Tuesday. Sadly, Tomljanovic was forced to retire during her second round match against Kirsten Flipkens after losing the first set, 5-7 due to the shoulder. Fingers crossed this was just a precaution. In all honesty, i’m surprised that so many seeds have reached the quarter-finals! While the number one seed, i’m impressed to see Lucic-Baroni in the final eight with solid wins over Belinda Bencic and Shelby Rogers. Lucic-Baroni has won all three previous matches against her quarter-final opponent, Pauline Parmentier. The other two matches are both first time match-ups – i’m pleased to see Jelena Ostapenko back to winning ways. The Latvian player hadn’t won a match since losing out to Karolina Pliskova at the Australian Open, 8-10 in a third set, a match where she had twice served for the match. The draw in Kuala Lumpur has taken a battering with six of the eight seeds out including Elina Svitolina who was forced to withdraw from the tournament on Wednesday, handing Nao Hibino a walkover to the quarter-finals. Lesley Kerkhove and Zhang Kai-Lin both qualified for the quarter-finals on Wednesday – Zhang reached her second WTA quarter-final while the world number 195, Kerkhove is into her first after beating Sabina Sharipova.
.@LesleyKerkhove makes first #WTA Quarterfinal! Zhang joins a quartet of Chinese players in the quarter-finals. The in-form, Wang Qiang, has backed up her run to the quarter-finals in Dubai with another strong showing in Kuala Lumpur. An interesting stat is that Wang’s last 12 wins have all come in straight sets and she has dropped just six games in her first two matches in Malaysia. Wang plays fellow compatriot, Han Xinyun in the last eight. 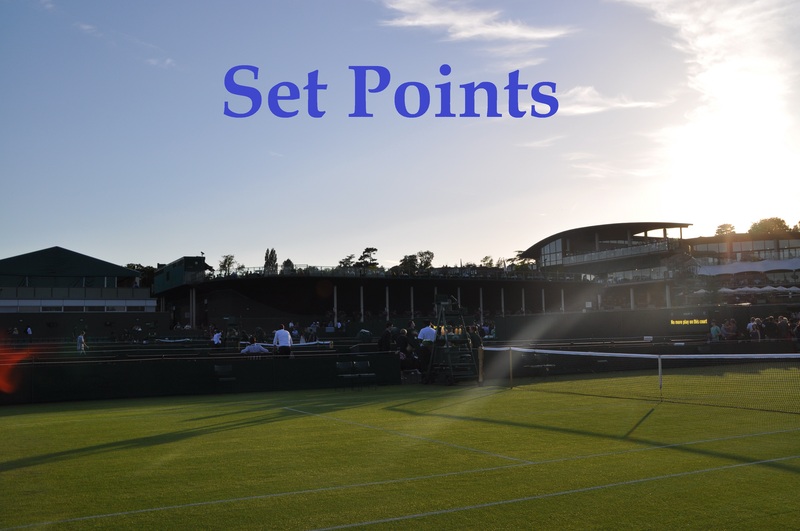 The highest ranked player left in the draw is now the number six seed, Duan Ying-Ying after Peng Shuai was forced to retire down 2-5 to Magda Linette in her second round match on Thursday. Duan edged a three setter against Sara Sorribes Tormo. While the seeds have been tumbling left, right and centre, watch out for Ashleigh Barty in this draw. The Aussie qualifier, who plays Zhang Kai-Lin in the quarter-finals, has a prime opportunity to reach her first WTA tour semi-final and beyond. Shahar Peer announced her retirement from tennis on Tuesday night. Peer was one of my favourite players back in the day so this news resonated with me. Good luck for the future, Shahar! And finally, ending with a few highlights from the men’s draw in Acapulco. The point below was a wow moment from Frances Tiafoe. Juan Martin del Potro beat Tiafoe in the an entertaining three setter and then pushed Novak Djokovic the distance in Wednesday’s late night match. It was so late, I caught some of it this morning! Acapulco is a special tournament and I can’t think of many, if any, that could pack out a stadium at gone midnight. Djokovic will play Nick Kyrgios in Thursday’s late night match, a first ever meeting between the pair on tour. March 2, 2017 in Acapulco, Kuala Lumpur, Set Points, WTA. Really pleased to see Puig doing so well, although she did have the trainer on a few times for a tight forearm. Yes I saw she had a MTO during the warm up. I’m glad to see her settling into 2017. Also thrilled Ashleigh Barty is continuing to get wins. She’ll reach a new career high if she wins her next match, a title win would put her inside the top 100. I watched the KL match where Anna Kalinskaya(R173) bashed Caroline Garcia(R23). The 5’10,18yo, Anna Kal had good power on her serves and ground strokes. with few UFEs. and a decent net game. I picked The Kal to win the KL tournament and become the WTA’s next big star…..then she gets beaten by X Han(R139) 6-3,6-0…..What The Hey!! !….looked all over for video-high lights-low lights- even a written description of the Anna Kal vs X Han match……found nothing.